Floors serve as the foundation of an interior room, creating and defining spaces. And each year, we’re presented with a growing array of innovative flooring trends. It’s difficult to pick just one — and that’s a good problem to have! If 2018 is the year for installing or replacing floors in a home, then this article is for designers and homeowners alike. Hardwood has been coveted for its longevity, which is important for anyone seeking a forever home (and for home designers to consider recommending to clients). But it’s also a critical feature for when the time comes to sell a home. • Today’s hardwood planks are smoother, longer, and wider, with desired widths from five inches to 11 inches. • De-lustered matte finishes always top high-gloss finishes. 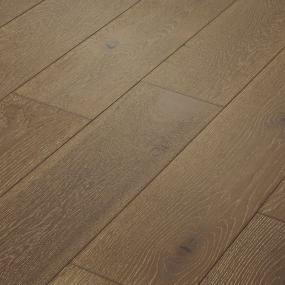 • Today’s hardwood requires less maintenance, yet it still ages beautifully — unlike any of its faux competitors. • Oak remains the most popular (and most abundant), and white oak is generally preferred over red, followed by maple, hickory, and pine. • It’s ideal for living areas, bedrooms, hallways, and dining rooms. • It tends to perform better than solid hardwood and has more options with style and design. • Oak is popular here, too, as are ash and pine — options with species abound. • It installs like solid hardwood (nailed or glued), but it can also be stapled and can be installed below grade. • The overall durability is excellent, as it's more resistant to wear and moisture. • Stone and wood require regular maintenance (such as polishing), but porcelain does not. 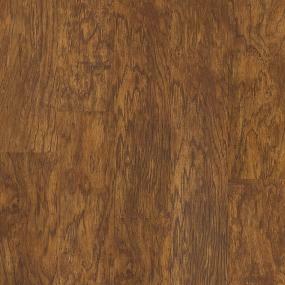 • Longer, wider planks are hot among new flooring trends, and they're easily achieved with tile. 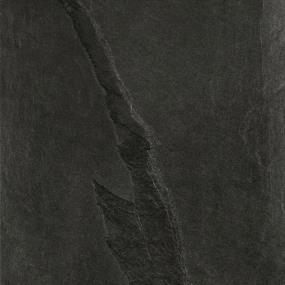 • Black is a popular color choice, particularly with porcelain tile. • Print technology can enhance the look of tile for geometrical shapes. • Tile with fiberglass backing is thinner and easier to use. • The demand for decorative, mixed-media tile (wood with stone, for example) is growing. Vinyl is nothing like it once was. Contractors and consumers are discovering that LVT offers advantages not found with other building and decorating materials. • Installing LVT requires less labor (which translates to lower costs) than larger, heavier traditional tile, but the final results are just as lovely. • It’s ideal for homeowners and design professionals who want the look of hardwood without the maintenance. • Technology has made the visuals better than ever, enhancing LVT’s growing popularity. • Waterproof carpet (yes, it exists!) can be used in any room of the house, even kitchens and bathrooms. • Manufacturers are going green. They're not only making carpet from recycled material (like plastic soda bottles), but they're also making the carpet itself more recyclable, keeping billions of pounds out of landfills. • Carpet tile is easy to transport, install, and customize — and if one tile gets damaged, another can be slipped into its place. • Handmade rugs give homeowners the personalization they crave. • Bold, patterned area rugs and carpet runners are big; they can be used over any flooring surface, including wall-to-wall carpeting. • Ombre carpets are the new statement piece in a room, topping the list of latest trends in flooring design. What will flooring look like in 25 years? Industry experts may already know. • Expect to see 3D printing, haptic technology, and a balance of handcraft and technology. • “Smart” carpets will be self-cleaning and self-repairing and will improve the air by absorbing fine dust. • Flooring systems will be redesigned to be 100 percent nylon and fully recyclable. • Environmental and sustainable material will be in even higher demand: Bio-based fibers will replace petroleum-based fibers, for example. • Floors will be more personalized and customized by the homeowner. • Installation techniques will improve, which will enable customers to update floors easily and more often. It will also make the trade pro's job easier. Not sure what flooring is right for your next home improvement project? Let ProSource Wholesale® help. Our room inspiration gallery can spark ideas, our expert designers can help homeowners select products, and our showrooms provide an up-close-and-personal look at our flooring offerings.